* New member incentive details below. Please enter membership registration info below. For restaurant groups with multiple locations, the CRA will contact you to confirm details for each location under one ownership. Membership dues are based on number of restaurant locations under one ownership or restaurant group. ​Annual dues are $400 for one restaurant and $200 for each additional location, with a cap at $2400 (11+ locations). ​All new restaurant members who join the CRA between February 1st - 24th may receive up to $100 credit on 2019 Membership Dues. 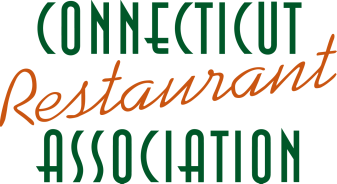 To receive credit, you must complete Step 1: CRA Membership Application and Step 2: Dine Out CT Event Registration. The CRA will invoice you for membership dues, less amount paid for event registration fee, for a value up to $100. ​Event registration fee is a voluntary donation to benefit the Connecticut Hospitality Education Foundation, a 501c3 foundation dedicated to the development of future restaurant industry leaders through educational scholarships and programs like ProStart, two year culinary and management program for high school students. To complete your registration for 2019 Dine Out Connecticut, please click NEXT and complete event application.